In-form Fermanagh will be out to atone for a poor Ulster SFC final display against Donegal when the teams meet again in Division Two on Sunday. Donegal were easy winners last June but newly-promoted Fermanagh are the only unbeaten team left in Division Two. Erne boss Rory Gallagher is happy with their start but says they're carrying baggage from their big loss at Clones. "Disappointment is still there... we feel we didn't play anywhere close to the level we can," Gallagher stated. "So that's the challenge for ourselves, to make sure we perform better than we did that day." Fermanagh go into the top-of-the-table clash on the back of draws against Cork and Tipperary and a win over Kildare. Gallagher rates the first-half performance against Kildare as "the best by a mile" of his reign in charge and they are approaching the short trip to O'Donnell Park, Letterkenny with confidence. In contrast, Donegal laboured to wins over Clare and Meath before losing away to Tipp last time - but may have talisman Michael Murphy back for the first time this season. 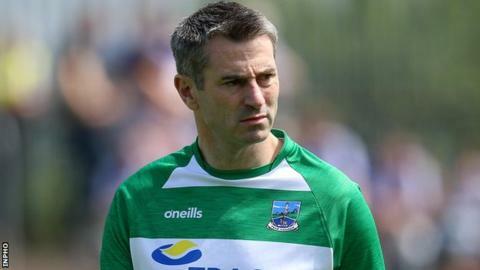 "If we allow softness to creep in it wouldn't be a great dynamic to be meeting them with," warned Gallagher, who previously managed Donegal from 2015-2017. "They will be hurting so you have to expect to be meeting an unbelievable hungry Donegal team. "We'd be very disappointed we haven't more points on the board, although the reality is that if you asked anybody would they take four points out of six going into the break, they would. "We aren't taking our chances but we're happy with the application of the players. They are doing an awful lot right and have shown they can compete in this division." Monaghan beat Tyrone in last year's Ulster SFC opener in Healy Park and the sides meet in Division One on Saturday night (GMT 19:00). The Red Hands gained revenge for that loss in the subsequent All-Ireland semi-final in Croke Park but are under pressure with only one point from three games in this campaign. Elsewhere in the top flight, Cavan host Roscommon on Sunday at Kingspan Breffni (GMT 14:30). In Division Two, Armagh, with two draws and one defeat so far, host Tipperary while Down are away to Division Three leaders Longford. Derry, setting the pace alongside Leitrim in Division Four, host Wicklow in Maghera and Antrim take on London in Corrigan Park (GMT 13:00). All games on Sunday have 14:00 throw-ins unless otherwise stated.